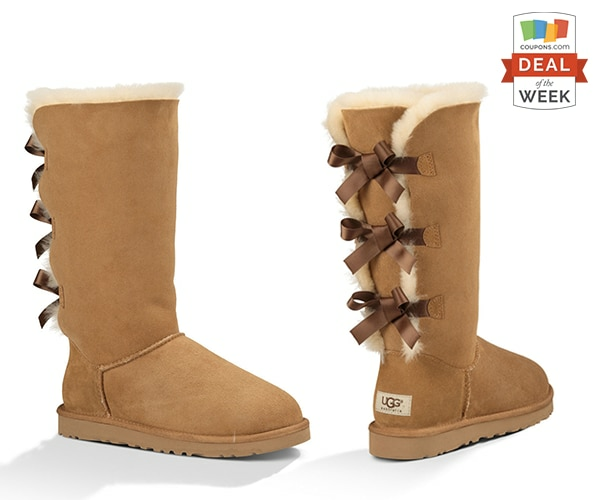 Soft and cozy UGG boots are a must-have winter accessory. If your closet doesn’t contain at least a few pairs, it’s time to fix that problem! Just in time for Christmas delivery, Nordstrom is selling the oh-so-stylish Bailey Bow Tall Boot for 28% off! Deal Details: $179.95 for the Bailey Bow Tall Boot (Regular price: $249.95).